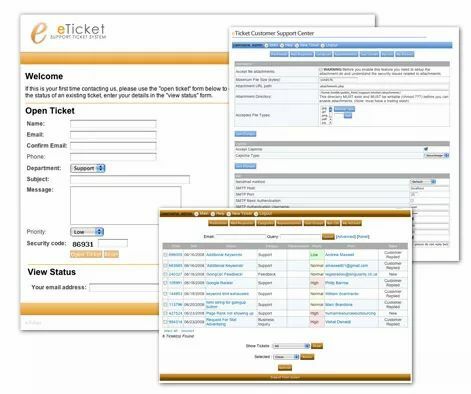 eTicket is a PHP-based electronic support ticket system that can receive tickets via email (pop3/pipe) or a web form. It also offers a ticket manager with many features. An ideal, easy to use and install helpdesk solution for any website or organization. Supports POP3 login with optional crontab. eTicket is very similar to OSticket – I believe eTicket was born out OSticket, but they are distributed on difference license agreements. check it out, is pretty cool.